The Series 37 was the first of the 3000 family to adopt the narrow slim-cabinet chasis design (subsequently popularized by HP 9000/300 Series computers). The Series 37 was the entry-level model of the 3000 range. It came bundled with a 9144A cartridge tape drive, 7945A disc drive and a 2393A terminal. The Series 37 came standard with 512 KB of RAM, expandable to 2 MB. It could support up to 14 users. 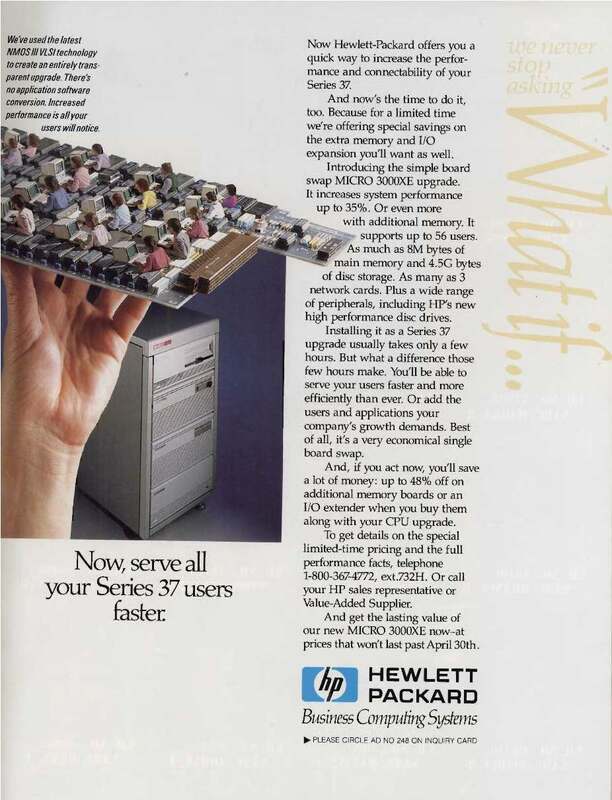 The Series 37 put HP 3000 computers into direct competition with HP-250 computers. The Series 37 offered users the advantage of being based on the MPE operating system. 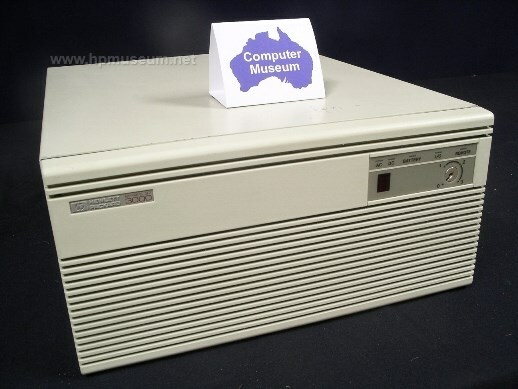 THe HP 250/260 computers were eventually discontinued in 1989. To get console terminal output from the 3000/37, be sure to connect the terminal to port 0 on the rear of the computer. You can easily make the cable you need for this connection. The female connector on the computer has only three holes. Get a 9-pin male D-connector and press through the six pins that are not required. See the diagram under "More Images" to get the required pin out for the cable. The datacomm settings on the console terminal are not critical as the computer will sense the speed of the terminal.